We're always looking for ways to lengthen our lashes, be it serums, oils, balms etc. Nothing quite gets us natural long lashes. So.. we've gotta fake it to make it! 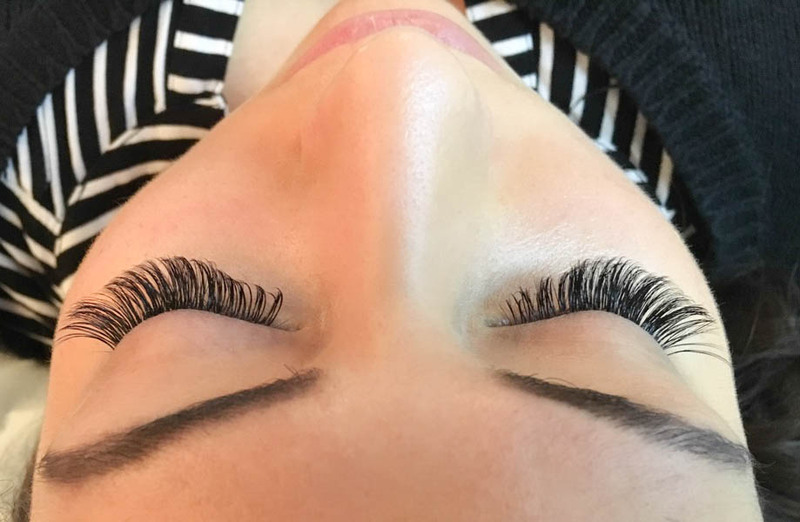 When trying to decide which lashes to go for at our Lash Perfect appointments at Lash Bar, I couldn't find much imagery to really tell the difference between the two lash styles. After doing very brief research we came to the conclusion that Tahitian Lashes were more natural long lash extensions, whereas the Russian Lashes are a bit more dramatic, long, thick and voluminous. We decided not to get the same, as Kirsty would prefer the more natural look, whereas I, believe in the 'go hard or go home' mentality, so wanted to go all out and get the fuller Russians. Also, how weird is the above pic.. left is Kirsty, right is me (Jasmine).. we look the sameeeeeeee! Made of synthetic, these Mink style ultra fine lashes certainly feel like the real thing and don't hold any weight to them at all, so they're all light and fluffy. There's not that heaviness that strip lashes have at all! They look and feel natural and can last up to 6 weeks! (depending on the growth/regrowth cycle of your own lashes) In-fills are recommended every 3 weeks to ensure they look as new. Application for both styles takes up to 2 hours. Kirsty's took around 1.5 hours and mine was closer to the 2 hour mark. 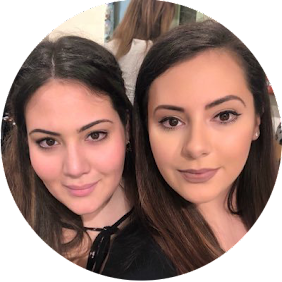 The skilled ladies at the Lash Perfect Lash Bar in London, Jessie and Carla, were absolutely lovely. They were super friendly and chatted away to keep us awake for the time we'd have to lay with our eyes closed.. It was far too tempting to drift off to sleep! So exactly what is the technical difference and how do they differ in appearance? Russian lashes, being fuller and thicker aren't like normal individual lashes.. instead of glueing one lash extension to one of your lashes, they create a fan (almost like a cluster) of up to 7 onto a single lash. This creates the more dramatic effect and gives you a fuller, more fanned out effect. 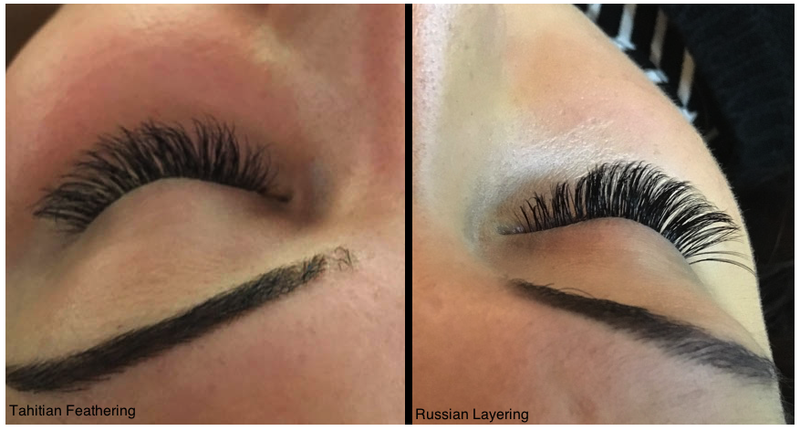 "Russian Layering technique involves adhering ultra-fine soft lashes onto a single natural lash to create a voluminous effect. If you prefer a full, high impact glamorous look that lasts longer and requires minimal maintenance, then look no further." 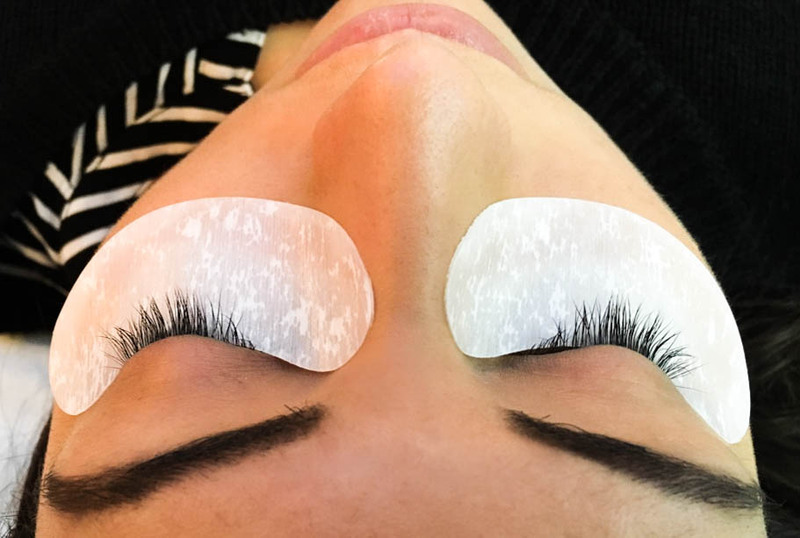 Tahitian lashes still attach several lash extensions to a single lash, but are more for length than volume, so they retain that natural long lashed look, just thick enough so you don't need mascara. 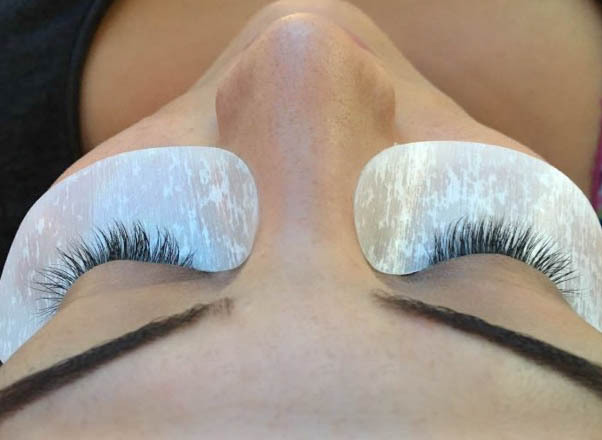 "Tahiti Feathering technique involves the application of multiple lightweight lashes onto one lash using varying lengths along the hair to give a light, natural feathering effect. Tahitian Feathering will add maximum volume while giving a soft, delicate result." Don't use mascara if you can help it. It will only clog them up and make them fall out. Don't use oily products on your eyes as this could cause the adhesive to lose stickiness. Don't get them wet for 24 hours or go in steam for 48 hours. This is just so the glue has proper settling time. Try not to rub your eyes or sleep on your face as this could cause the lashes to fall out. Following all that advice, your lashes should stay long and lust-worthy for weeks on end! 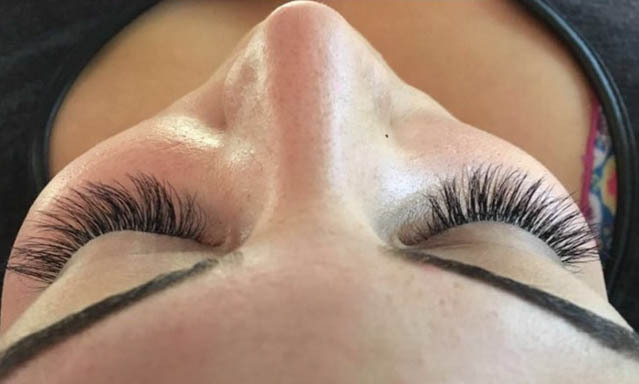 Both types are £180 at the Lash Perfect Lash Bar, which is just behind Carnaby Street! You may need to start getting in-fills after about 3 weeks, which are just £45. They're even offering a February promotion to get Russian lashes (and removal of your existing lashes) for just £150! That'll save you £50! 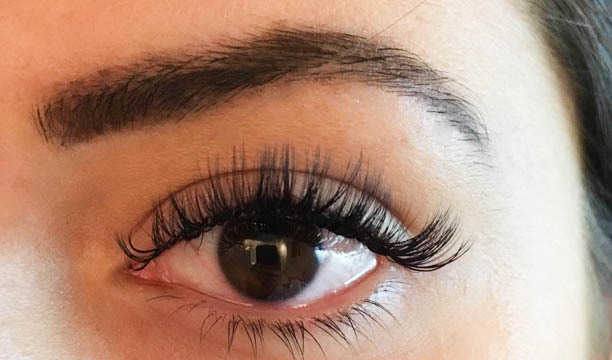 If you're a beautician and are looking to train in these lash types, click here for course info! Have you had Tahitian or Russian lashes before? Which would you go for?